I am providing links to some of the manufacturer websites where you might be able to find a manual for your vintage machine. I am NOT affiliated with any of them. Some of the links provide manuals for free and others will charge a fee. The websites may notso you might have to contact customer service directly with your inquiry. I would try contacting someone at the company first, who knows, they may e-mail you a free manual for your old sewing machine. Just click on the highlighted links to view the website. If you know of any others, please let me know and I will add them here. Need a manual for your vintage SINGER sewing machine? Take a look at my post here. 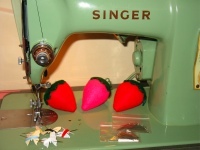 If you need a manual for a WHITE sewing machine, Singer also provides those at the same website. SCRIBD – if you are able to find a manual at this website, you will be able to view the first few pages of the manual. You have to become a paying member to have full access with downloading, and printing capabilities. Do you have a sewing machine manual you would like to share with those who may need one? Send it to me and I will distribute it here free of charge. Any ideas where to find a Morse 6500 manual? Apparently it’s impossible or a complete odd-ball lol. I’d appreciate any help. Do you ever find the manual for the Morse 6500? I need one too! Can you help? did you find one, I have the 6100 and still have manual. Let me know. i have a universal machine made in Germany I bought it new in the 60,s. i have lost the manual . I need a manual for the Morse 6100. Mine is missing. Yes I recently was given a morse 6100 and need a manual. I have no idea how you use this machine. Kathy is there anyway you can advise how to change or just remove the pattern cam on the Morse 6100. We have my mothers up and running but she can’t remember how to change it out. Please help if possible. I need a copy of ElginS-1145 as well. Anyone know where I can get one? Thank you. Hello I was not able to down load a copy of a Manuel for my Vintage Kenmore sewing machine model 117.959 My guess is that they do not have older sewing machine manual. The 117 is the White 77. The manuals are basically the same. The styling might be different, but it’s the same tension assembly & bobbin cases. If you are still looking for that PDF drop me a line. Hello, I am so excited to be able to use my great grandmother’s sewing machine! It is a Kenmore E-6354 manual 117.552, 117.812, 117.813, 117.560 manuals work for this machine. My email is bnshepard18@gmail.com. I would be thrilled to receive an email with this manual! Thank you all and happy sewing! Not sure if I have the correct booklet, but I do have an original instructions/manual for the Kenmore Rotary sewing machine. Vintage Sears Kenmore model 158.17560 Sewing Machine. Looking for a manual? I’m currently looking for the same manual. Have u had any luck? If so could u help me out? me also! Wish I knew what all the things it could do! Hi, we need the same manual. Did you have any luck locating one? Any luck? Need one too. Does anyone know where I can find an Instruction Manual for an Elgin 4400F? I have looked everywhere and cant seem to find one…Any help would be greatly appreciated! I just updated my blog page regarding Vintage Sewing Machine Manuals to reflect another source for finding manuals. This website has the manual you need for your Elgin 4400F, however they have a fee for access to download & print the manual. im bought this sewing machine at a yard sale, and it came with no manual nor a brand name on it, but i looked online and i think i found it-it looks exactly like this model, that will follow, but i need a manual as im kind of a beginner at this and id love to have a manual for it heres what i think it is: a Foshan Ukicra 16 function machine and if this is it the model number is: UFR-613- it is blue and white, every place i check brings me to the same website, most times but none have manuals. if you can help me thanks. ive been looking up for this for almost 14 and 1/2 hr just today thank you. I am looking for a manual for a baby lock ea 605 surger. Thanks!! I have the same machine and have the manual. could possibly get you a copy somehow if you haven’t found one yet. I have come across an instruction manual in my collection for ‘The singer manufacturing company’s Vibrating Shuttle Sewing Machines’. I will be happy to email a copy in pdf format should anyone need such a manual. Thanks for offering your manual. If you would like to e-mail it to me, my email is stitchnerd 1 @ gmail dot com. I can list it on my Manuals page for distribution. I would most appreciate a copy of this PDF file for the Singer Vibrating Shuttle Sewing Machine also. I have enailed you a copy today. I’m burrowing my mom’s sewing machine and she has no idea where the manual is. I’ve checked online in several places and found it on a couple websites to buy. Before doing so though, I’d like to check with all here to see if someone has it or knows where I can obtain one for free. The model is the kenmore 158.13160. I did check the website that is listed on this site for kenmore, but they only have the parts manual for ordering parts and servicing your machine. They don’t have the actual manual and I’m in need of learning how to use the buttonhole piece. Hi, did you find a manual for this machine? I have the Kenmore 158.13180 and need a manual for this model. No, i never did. It was actually made by a “Universal company “. Evidently in the 50s which I think this was from, Kenmore subbed out building their machines to other companies. It is very specific machine and The specs on it are very different from the other Kenmore machines. For example I ordered some new feet for it and they do not fit in the proper place because the machine is built a little bit differently. Hello, my girlfriend and I stumbled upon an Elna Elnita 250. I happened across your entry about the 255i. I can’t seem to find the manual on Elna’s website. Are there any possibilities of finding this? I would also love to have the manual for the Elna Elnita 250. If anyone has a free copy to share, I would greatly appreciate it. Thanks. I have a Visetti Precision Super Deluxe Model 6A that I’m looking for a user manual. Any idea??? Looking for a manual for Singer 6106 free arm machine Anyone? I’m looking for a manual for an early 20th century Davis sewing machine. I have one that came with my machine but it’s missing the page on thread tension, and that’s exactly the page I need. Have you tried posting here? http://www.quiltingboard.com/vintage-antique-machine-enthusiasts-f22/ they might know. Theyre really big on the vintage machines. Hi! I was actually looking for a manual for a Domestic 4400 sewing machine. Imagine my surprise when i realized it looks exactly like your Elgin 4400f. Lol thanks for the threading guide that you had posted. Now although i would love a copy of the manual, what i really want to know is if it takes double needles. Thanks in advance for any information provided. Hi. I am looking for a manual for an old Lincoln sewing machine. I am not sure if it is the brand or model name. Can you help? Looking for a manual for my mums old Brother sewing machine, Ranger model 661, blue, A371434. Brother’s website say they no longer have it available. Anyone have any ideas where I might be able to find a copy please? I’d like to pass it onto my young niece for the next generation. I have just been given a Verity sewing machine – think it dates from at least the 1960s ptobably earlier – any ideas where I can get a manual? My daughter found a Baby Lock Serger BL3-407 @ a second hand store. It is in excellent condition. Not one scratch on it. It’s beautiful. The problem is I have no manual for this Serger. Would like to see how to work it? What year would this machine be, and is it worth keeping? Thank you! If anyone has a copy of the Baby Lock Serger BL3-407, could I have a copy emailed to me Please @ Guera54@yahoo.com. Thank you so much. Today I purchased a 1939 Electric White Rotary(serial #43×85876) sewing machine. It’s in good condition, attachments, bobbins came with machine but no manual instruction book. Please where could I locate a printed copy of the manual. My email address is wiloubeedoughnuts@yahoo.com. Thank you! I inherited my grandmother’s Atlas Deluxe sewing machine that is identical to your machine, with the exception that her machine folds down into a cabinet and has a knee pedal (instead of foot pedal). Do you know where I can find a manual for this vintage machine? Thanks for any help you can provide. I am unable to find manuals for my inherited treadle sewing machines which are both Singers, one from each of my grandmothers. One is from a model in 1908 and the other is from 1922. Would so like to locate parts for the 1908 one as well as it does have parts missing. Then they are either models 27, 28, 127, 128, 66 for 15 for the one in 1922. Go to Singer.com. I have a copy of the Baby lock Serger “Juki” 2 & 3 thread overedging sewing machine manual (INSTRUCTION BOOK) MODEL BL3-407 , if anyone is interested in having a copy. Thank you all for sharing your ideas & information. It’s greatly appreciated!!! Try contacting BabyLock. Many companies still in business should be able to assist you. I have a copy of the Baby Lock manual for BL4 -738D but it’s not for a “Proline”. Is there’s any way to send it to you? I can’t email it unfortunately. Hi JB. Would u be willing to photocopy it and send it thru the mail? U could email me directly and I could give u my info. I don’t think it really matters if its a proline or not. Do you happen to have the manuel for the Atlas Precision Deluxe Sewing Machine that you mentioned. I just bought this machine and would like a copy of the manuel if you have it. I would so appreciate it. Thank you in advance. I have a Electro Grand machine I bought in 1970 but it has no model number per se. Instruction manual calls it a Super Deluxe Zig Zag. If you want to send a picture of yours to me, I will let you know if it matches mine. If so, I can copy the manual and email it to you. Thanks! I just sent you a picture of the machine. Do you have a photo of your machine you can e-mail? I received my Elnita225i machine when my sister passed away. I am anxious to use the machine but have no instructions or manual, just the machine. I would guess that it is probably at least 10 to 15 years old. I would appreciate any help. Thank you. Help!! I am looking for a manual for Brother Opus 821A… I can not find one anywhere…It is from the early 60’s…Thanks! Can you provide a photo of the machine? Stitch Nerd how do I post a copy of the manual on here? I would love to share it if it is still needed!! Thanks! Hi Diane. Did you ever locate the Brother 821opus manual?? If so, please share with me..
Hey, sorry I forgot…I will need your email address to send the Opus 821 manual to you. I do not know how to post it to this page? Susan, What is you r wmail address, I can send you a copy!! I need your email address Susan….did you find a manual yet? I am also looking for a manual for the Brother Opus 821a. It seems like a pretty straightforward machine but I can’t figure out what the little knob above the stitch length knob is for. It doesn’t move, even when I heat it with a hair dryer. I doubt that it is just for decorative purposes though. I do not know how to post it on to this page, I can send it to you via email address. Like I said, the manual that I got is sort of hard to read,like a copy of a copy of a copy of a copy… but you can get an idea on how to use the sewing machine, as it does have picture diagrams, and it is in black and white, no color, sorry that is how I received it. I need a manual for a brother opus 821a also. My daughter and I have been looking everywhere. Lisa I will gladly give you a copy… I need your email address to send it… Not sure how to post it in this group? Hi, i have a Nifty thrifty girl kenmore sewing machine. Im looking for a manual, or wiring diagram, if anyone can help,or has a leg operrated pedal,im interested in buying it. Ty, Shawn w.
Could you send me a copy please? Zemyna71@gmail.com thanks! I wouldn’t mind an email of that manual- I, as well, have the 1351a. I apologize that I did not place my email in the note requesting a copy of the Brothers Opus 821A machine. Here it is: jedleman1@msn.com. Diane, could you please send me a copy of the Opus 821 Manual? Thank You! I know this thread is old, but I, too, am looking for the Brother Opus 821 manual… Any help would be greatly appreciated! Jenn, I sent you a copy via yr email!! Thank you SOOOOO much! You’re the best!!! I forgot to mention that my email is kandamill@hotmail.com (for the Opus 821a manual). Thank you. I have a Kenmore sewing book/instructions for the rotary sewing machine, will it work? Hi Diane, I need instructions to use my sewing machine. Could you send me a Kenmore sewing book/instructions copy to my email Please? It’s roraima_60@hotmail.com. I’ll appreciate it. I was hoping I might get a copy of the manual for The pink Atlas 151.I can’t find one.I would really appreciate it if you could help me with this.Thanks for your blogs.Very interesting. I just bought a Morse 1000 and do not have a manual. The dog feed isn’t working and the stitch selector will not move. I already fixed some other problems but not sure what I am doing. I cannot believe how much oil is on machine! I am curious about its age too. Hi my name is Terri also and I need a manual also for a Morse 1000. Did you ever get yours working and ahold of a manual ? Hello! Does anyone know where I can find a free download of a Universal KAT-2 Sewing Machine? I recently purchased one at my local thrift store, but I’m not familiar with this machine. Did you ever find a manual for your KAT-2 machine? I also have had this machine for over 40 years and have lost my manual. If you found one let me know. I just got this machine today and looking for it too. I did finally find a copy of my KAT manual at SewUSA. It was not free. It cost me 10.00 plus shipping. Send me your info and I’ll send you a copy by mail. I’m am too looking for a universal model KAT instruction manual. I inherited from my mother in law. I have found how to thread and have used other types of machines, but this one has too many different levers and knobs. Hi Everyone! I have a few manuals for a “BABY LOCK” SERGER BL3-407. If anyone is interested please Email me @ Guera54@yahoo.com. Thanks. It’s Maria P.G. again! I forgot to say I have a pdf. file manual on hand if anyone would like a FREE copy sent to them for the ”BABY LOCK” SERGER BL3-407. “Make it a great day!” Thanks!!! I am currently vigilantly searching for a digital copy for the BabyLock BL4-738D or BL4-738DF manual. A friend has gifted me this machine but I am having a lot of trouble finding a manual to go with it. I am trying to find the manual for a Sears Kenmore 158.481 preferably for free. Also Does anyone have a good resource to acquire parts for said machine. I also have a Sears Kenmore 158.481. Any luck finding a manual? I need one as well. I found where you can download one but I don’t want all the spyware that comes with it. Me Three! Would someone pls send me a PDF or an email to contact you? I am unable to contact previous posters here re the manual. My email is anon_tx at yahew. Can anyone tell me where the oil points are on a Kenmore 120.491 sewing machine? I cannot find a manual for it and it was produced in 1954. This is a strange machine and it appears Sears deviated from standard basic design when they produced this machine. It has a bicycle type chain drive and the motor uses a rubber friction wheel to turn the large drive wheel. I suspect they found this design to be flawed and eliminated it after just a couple of years. Any help or suggestions would be greatly appreciated. I need to find a motor for it also. This is for every sewing machine maintainer except you. I was trying to send the link over to you, but having trouble sending it through. I will be more than happy to send it by mail to you (The Instruction Manual) for the machine. Please email me your address on MY personal email Guera54@yahoo.com & I will send it to you after this weekend. Thank you! Did you ever find this? I just received one as a gift and don’t want to wreck it! I have a cosita sewing machine with no manual , I was wondering if you can help me? @MP – that doesn’t really look like a ‘real’ Kenmore model/part number. Se aother of my posts elsewhere in this thread. Hi, I have a 1960’s Free Westinghouse Model 803-A, it’s Japanese made and I can’t find a manual online anywhere, even having to pay for one….Very frustrating..I need a few parts and I don’t know what to call the parts for a parts search either. If anyone has one, please contact me. Thanks so much. Okay… This is probably a long shot but I am looking for a manual for my Electro-Grand 400 Deluxe Automatic sewing machine… the numbers engraved on it are JA16 & 28935… I have searched for weeks now and have not found one and I’ve joined multiple groups on Facebook in search of one as well and still no luck… If anyone here can help me I would greatly appreciate it… Oh and I have already tried http://www.sewing-machine-manuals.com and they couldn’t help me either. Amber, i don’t know if you will get this message as it has been some time since your post, but did you ever find a manual? i just acquired that same machine and i too need a manual. I found a manual for a plus 40 year old Kenmore sewing machine at a local repair shop. Owner let me take it home and copy parts I needed since it was a close “match”. Very helpful. A possible source?? Luck to you. Thank you Janel, I am going to call the local machine shops to see if any of them were the ones to service my machine but the lady we got it from said it hasn’t been serviced since 2007 and has not been used since it was last serviced… it definitely needs a belt but I don’t know what else. Hello, Stitch Nerd. I tried to find the review on your Singer 185j and couldn’t fine. Help, please. I am looking for a manual for a machine given to me that says “jcpenney model 6200” any ideas? I may have found what you are looking for in my family belongings, but not certain. Would the manual say Instruction Manual For Zig-Zag Sewing Machine Model 6910? If so, email me at britdouble07@me.com. I need help finding an instruction manual for a 1948 Singer Serial Number JC224205, any help would be greatly appreciated. I need a manual for a vintage Elna Zig Zag 722010 sewing machine.. I need an owners manual for Kenmore model 158.17033 this has been hard to locate with no luck so far. can you help me with this please. Thanks in advance! Diane, I would like to get a copy of the Brother 821 manual. I have a Profile 831 that looks like it has all the same features. I hope you can help me out! Thanks! David I sent it to you! I also have a Brother Profile 831 for which I require a manual. Perhaps, if the 821 is similar, could you email that manual to me as well? I am unable to find a manual for a Goodrich “A” treadle sewing machine. Any information is appreciated. Just retrieved my kenmore 14813101 from my Mothers house. I am missing the manual though. If anyone has it and would like to sell or share it would be helpful. Hi Janel, I just got a Kenmore 158 1212180 & haven’t been able to find a manual. Do you think your’s might work? Sure would appreciate a copy. Can you email it to me? If you can I’ll send my email address. Thanks!!! I don’t know if this manual would work for you, but I can scan and send to your email. I don’t have the entire manual ( returned to repairman), but can share what I do have. I’ve been looking for a manual for the 158.13180. Would you mind emailing me a copy at krt1569@yahoo.com? I certainly would appreciate it. Hi, does anyone have a copy of the manual for the Brother Homelock TE4-B501 ? I have been looking everywhere for it. Hi. I’ve inherited my mother’s beloved Sear’s Kenmore 158.17600. It has all the original cams and attachments but I need the manual. Anybody have it or know where to find it I would much appreciate the help! Just knowing any details on this machine would help also. Email is tmbeckman100@yahoo.com. Looking for a manual for a National sewing machine, Model 900. It was found in a friend’s closet and I will be teaching a young woman how to sew. Hi all, I’ve bought a vintage Brother sewing machine. Its a light blue. Not sure of the model number but i have some numbers off the machine. Im a newbie so really need the manual. Hope someone can help. Adam Rose, does it have a name on the front lie “opus”? I’m looking for a manual for the Sears Kenmore model #158.841. Can anyone help me? I am looking for a manual for a vintage Adler overlocker machine. I think it is a 81 – 8s. A thread snapped and i do not know how to re thread it. One knows of the manual” pls. Let us know! thank you! If you’re still looking, you’ll find it in the Necchi FB group. Hello I have an old sewing machine instruction manual, would you like it? Frister + Rossman 503, in very good condition. I’d rather not throw it away if it would benefit someone. I am looking for a Kenmore model 40510 sewing machine manual. Do you have one? Looking for a manual for Elgin s-1145 made by American sewing machine company. Also looking for feet and bobbins. I’m looking for a manual for my Brother 1351a. I can’t seem to find it anywhere! The link at the top of the page to Kenmore manuals is missing. As one can imagine, collisions might occur with this model number abreviation scheme. Two differnt complete model numbers could result in the same abreviated model number. e.g., if there were two machines 158.12551 and 148.12551. I don’t know what Sears did to manage that. 158 – Maruzen, which has evolved into what is now Jaguar. If you find a sewing machine manual, can you send me the hard copy? I need a manual for a Kenmore machine with 12 stitch function. I am in search of a manual for BL3-407 if you have one. I would be so very appreciative. just inherited an Elna Type 31C without a manual to learn more about it. Can anyone help? I am looking for a manual for a Electra-Grand 400 Automatic…would appreciate any direction on where to find this! Looking for free Elgin 2468 manual. I am looking for a white model 528 manual, which seems impossible to find. Any help is appreciate. I just need to know how the cam system works. Looking for a free BabyLock Proline 400 Sewing machine manual. I just acquired an old Brother Opus 191. Need a manual. I also have a Fleetwood 767B Deluxe Automatic Zigzag that I needs a manual. Thanks! I read your post on the Pink Atlas Deluxe sewing machine. As a little girl, being babysat by my grandma, I used to spend time with her – watching her cook, sew and looking at TV novelas (Spanish soap-operas), back when there were only 4-5 channels. When she passed away, the only thing I wanted was her sewing machine (the Atlas). To me, I was the only person in the family who had a connection with her in this particular area of her life (sewing). Needless to say, it means a lot to me to have it. I am very afraid to mess up the machine in any way. Can anyone help with a manual for the machine? I would be very appreciative. OMG…… Can ANYONE help??!!!!! I am looking for a Kenmore Model #158-353 Manual. I cannot find it ANYWHERE!!!!!!!!! Please if you can help me, I would TOTALLY APPRECIATE IT!!!!! I have a kenmore 158.523 i need a manual and cams for if possible help. I also have a 158.13160 i need manual for and a manufacture year would be kewel. Thanx for your help. to look up their products. I’ve been given a Baby Lock BL3-407 and have managed everything but stitch length !!! Does anybody you have access to a manual please ! PAM…I Emailed you my copy of many copies, for the Opus 821A. I hope it will help you out! Hi! Yes!!! Thank you so much! It helped out a lot! At least the basics! I found no other info on this model and it does say J A 28 on it and some numbers on bottom. It does run pretty quiet and and smoothly. It does need a new belt. Got it for cheap and it seems pretty heavy duty. Hoping it will fit in my cabinet now. Thank you a lot! Yes, these old guys do run quiet and last forever, with cleaning and maintenance. I love my Brother, it too runs smooth and quiet!! Hi! I just saw this post. if you still have the manual, could you please e-mail it to me? Jes….I Emailed you my copy of many copies, for the Opus 821A. I hope it will help you out! I need to identify this machine, which I want to use. I need a threading manual and owner’s manual. Can you share and can someone identify it? Hi. I am in need of a manual for a Brother Galaxie 2015, it was manufactured sometime in the late 70’s or early 80’s. Thanks! Hi, I am trying to find manual for Elnita 200. I already read your review of Elnita 255 and hope they are similar. Cant use the machine until I buy accessories including bobbins. Thank you! Looking for manual for a Bruce treadle machine. Can you help? Jackie Fletcher I will need your email address to send it to you! Your very welcome!! This is a copy of many copies…. anyone have a manual on Universal Model UN 75? Hello would you happen to a manual for the Pink machine the Atlas Deluxe ? I have the manual for a bernina machine and some individual pages for attachment for my Elna….I don’t have them in front of me right this minute- but, I would be more than happy to contribute copies of them to your collection – I’d needed. Hi! I am looking for a manual for a Atlas Deluxe sewing machine (pale pink). I saw one on Etsy yesterday as a download but was not there today. I would appreciate any information. Thanks. Saya membutuhkan manual book mesin jahit janome 670.tolong di kirim atau cara mendapatkannya. In need of any information on maintenance and threading for a 1902 Minnesota B treadle sewing machine. Looking for a manual for a Universal DeLuxe ZigZag Machine, UN-7. Thanks very much. Any ideas on where I could get the manual for Vintage brother homelock Te4-b503 4 thread machine? Searching for a Montgomery Ward Sewing Machine Manual Model UHT J276. Does anyone know where I can get one “free” without any entanglements? I don’t want to have to subscribe to anything in order to get it. can’t find Kenmore 117.959 rotary sewing machine manual or parts can anyone point me in the right direction.? the book has a part number 2973.email me and I can show you photo’s. Do you happen to have the instruction manual for a Brother Opus 821A? I picked it up second hand for free and cant find the manual anywhere. Thanks! I also just purchased a Brother 821a and need a manual for it. I would be so grateful if you could email it to me. My email address is kandamill@hotmail.com. Thanks so much. Kathy I need your email to send it to you. I am in need of a manual and or threading guide for my grandmothers sewing machine I just inherited. It’s an Universal (Standard Sewing Equipment Corp.) Model 2470. Any help or guidance would be greatly appreciated. HELLO!! LOOKING FOR SEARS KENMORE 385 #1764180 24 STITCH SEWING MACHINE MANUAL…. MY EMAIL IS gggigggles@aol.com THANKS IN ADVANCED!!!!! Hello, I have my Mother’s Vintage Nelco Sewing Machine model # FA9801, works perfectly, but I cannot find anything on it, I believe it was purchased between 63’-68’ anything would be helpful. Hi! I am looking for a manual for a Brother 1351a. (Not the Opus series; the pretty 2 tone blue one). I’m having trouble finding it online and obviously not on the Brother website. Any help would be appreciated!